Dear lord, it's been over a month i updated, i'm the worst webmiss ever lol. I'm so so soooo sorry. I'm not going to upload all the latest news, there are enough other fansites who do update haha. But anyways, i found a whole bunch of M2M HQ's, that i think most of you'd like to see. Click the link below, to d/l a zipfile with all the pics in there :) Enjoy! I will try to get a new layout up very soon and since news from 2003 is still on this page, there will be a news-archive, i'll try to get as many pictures up at the gallery as i can and it will be much better so stay tuned for that. The updates about Marion will be kind of slow so make sure to check out the other sites that i mentioned! 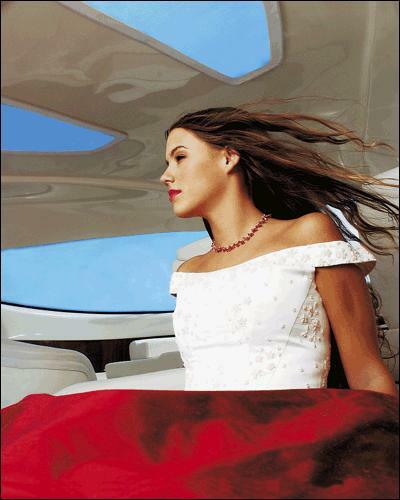 Marion Raven:"I might as well just get this over with. No. I dont wanna go on a date." hahaha, that's all for now! Click here for a (norwegian) tv-spot of Marion. It's pretty cool! Marion wrote a song for norwegian singer Tommy Michaelsen called "Completely in love"
well, it was really great! It was about 40 or 50 people there, or something like that Smiler It was inside the record store, the stage is really small, and we got to watch from a really close distance!Maggie and I were at the front road, we could touch her keyboard if we wanted, hehe Big Grin Marion kept smiling and said "It's so good to be home, and see familar faces among the crowd!" Her friends were there, Ida and some others, and her sister, her cousin ( lol she was really cute, and had like 5 cd's she wanted Marion to sign for her Big Grin I think her name was Rebecca. I heard Marion say something like "Thanks for coming too, Rebecca) Marion started out singing HERE I AM. Then LITTLE BY LITTLE, CRAWL, FOR YOU I'LL DIE, END OF ME and BREAK YOU! IN the middle of each song, she goes like "Tusen takk for at dere kom, til � med i alt regnet!" (Thank you so much for coming, depsite the rainy weather) OR "Just have to drink a little water" Uhm, when she was done singing, she went backstage! And came right back out, ready to sign cd's! Smiler Maggie and I stood there waiting for our turn, even 8 year olds wanted their cd signed! Big Grin And yup, Maggie had brought her camera and asked Marion if she could take a picture with her. Marion said something like "I guess that would be alright, yes" So yup, I took the picture for her. I only had my mobile phone with me, so lol, I figured I wouldn't ask for a picture. But I got my CD signed =) Yuuuppp! And I got to talk a few words with Marion! 3 New UHQ's of the Here I Am shoot are added right here they look great! Make sure to vote for Marion at DeeJayLink you can vote as much as you like. First off, sorry for the lack of updates, there has been quit some Marion news but i've just been slacking, sorry! That's about it for now, i will soon upload lots of pictures and the video and audio ofcourse. Also don't forget to head to MarionMania they are having a contest! Also go to MarionRavenFriends to find out about some promotion for Marion! A whole bunch of Blog pictures are uploaded! Marion is on the cover of DVD Info, they talk about the special editon of "Here I Am"
Go to this site to see Marion perform "Crawl" and "For You I'll Die" live! If i understand correctly a part 2 will come up soon as well, enjoy! Edit: Already figured out the other live videos: "Little By Little" and "Here I Am"
Just a quick update to say that i got the Break You single! Big Thanks to Desiree who send me the single!! Marion updated her blogpictures i uploaded them in the gallery, go check them out! Marion performed today in Thailand; the Here I Am concert, with her band Last Week at the Siam Discovery at 5pm. As Oah (from the official boards) told; She played "Here I Am", "Crawl", "The Day You Went Away", "Little By Little", "For You I'll Die", "13 Days", "Break You" and "End Of Me". Second; Marion is Artist Of The Month at Hitz.Fm ...sadly the article isn't new so that's kinda dissapointing. Marion will be in Singapore June 27th only for one day but she'll be back end of July! Also check out a new journal entry from Marion, dated june 21st. Great news from Japan, "Break You" is #1 on the international weekly airplay charts and Marion's album "Here I Am" is #4 in the Tower International combined Top 30 chart in Malaysia. Other then that i have a lot of images to upload which will be done soon, and ofcourse still the video...sorry for the wait, i'm horrible i know! Lots of picture updates! First i uploaded 120 caps of the Break You video...more to come! Second i made caps from a video message of Marion and i uploaded two new pics (check in the gallery under "New") So go to the Gallery to see it all! Also i found 2 new videos of Marion i will try to upload these here as soon as possible and ofcourse the bigger version of the Break You video is to come soon as well. All credit goes to Kath from marionmania.com. So big thank you! Other then that check out the new look of marion-raven.com! It also has more release dates of the album. And go to her official Blog to read where she wrote the bonustrack "Surfin The Sun"
Marion made a new journal update a few days ago, go to her official site to read. There are new scans/articles up at marion2u which will be added here soon. 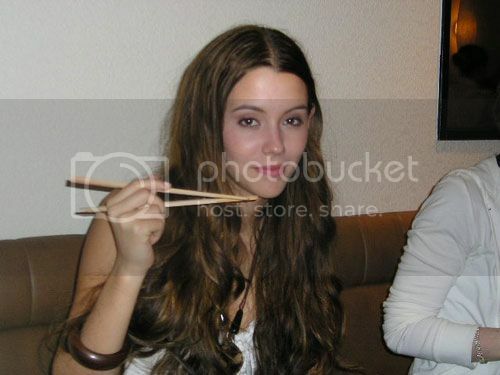 Go to the Misc photogallery to see a new pic of Marion, thanks to Marion Raven Friends! More gallery updates: End Of Me captures are uploaded. Break You captures will be (hopefully) up tomorrow. Two blog pictures have been uploaded as well. Thanks to Desiree (posted on MarionMania , who emailed the norwegian Elle, Marion's photoshoot will be in Elle for July! Well that's about it, more pictures, etc will soon be uploaded! Well Marion also answered some question on the board so make sure you check that out as well! Thanks to Marion Raven Friends there's news about another bonustrack, apart from the japanese bonustrack "Surfin' the sun" , it's called "There i said it", hopefully more info to come! Thank you so much for all your birthday wishes. i had a great day at home celebrating my day. I got a wetsuite,the Rolling stones bio book, ACDC DVD set, and a hippy shirt that said "I love beach surfing" and A Ramones live dvd. I ate strawberries with milk and sugar and drank the norwegian soda "Solo". I then packed and flew back to New York the next morning. I am so happy I got to spend my birthday at home, but I will now party how you're suppose to party when you turn 21 in America. It's very important. 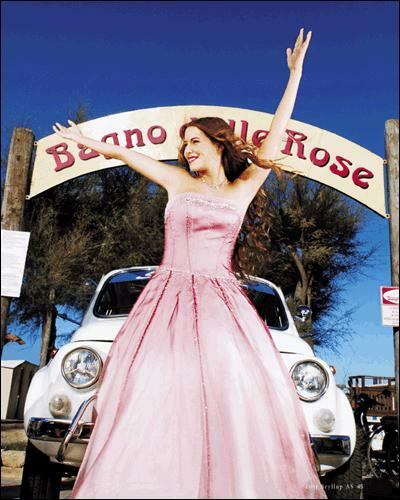 Go HERE to listen to clips of Marion's upcoming album! You do have to register first though. You can listen to clips of "Break You", "Crawl", "Get me out of here" and "Here I Am"...enjoy! Check out MRO's affiliates at the WWW page! Today is Marion's 21st birtday :) I'd like to wish her a great day and all the happiness in the world, you rock! GUESTBOOK is up! Please sign it! Thank you. Even MORE UHQ's, this time with Marit Larsen from The Big Room period, hope you all enjoy these! According to Marion Raven Friends "Here I Am" will be released in Mexico, July 25th! Added 2 official wallpapers (in 3 different sizes) in the gallery under "wallpapers" so go check that out! Two new photo's made by Maki Kawakita are uploaded to the gallery, under photoshoots, so go check that out! Here's the CD Cover for Marion's upcoming album. We don't know if this is just the Japanese cover version or International. Also on the Norwegian tvshow "Absolutt Underholdning" on TV2, they will air Marion's new video! Good news for Mexico (thanks for the news from Marion Raven Friends "Break You" will be released next week there, hopefully soon followed by other countries. Go right HERE to check out a clip of Marion's new video for "Break You" and a videomessage from her! I'll try to get some actual downloads soon. Other then that, the tracklist for Marion's upcoming album "Here I Am" , and now we finally now who she sings her duet with...Everclear! And last make sure to go to the wonderful M2M Ultimate where you can download the "Wanna be where you are" video! Singapore - Marion Raven now looks like a girly version of Stevie Nicks with her long flowing tresses, long black dress, and bohemian-like accessories. Last seen in the local shores at the 2002 MTV Asia Awards as M2M with Marit Larsen, the Norwegian born 21-year-old has been working hard on her solo material and is now ready to unveil her debut album titled Here I Am scheduled for release on June 6, 2005. Making an appearance with a short showcase at the M Hotel in Singapore yesterday, Raven performed a couple of the new tracks -- "End of Me," "Break You," "Little By Little," and "Here I Am" -- on acoustic guitar. Gone was the teenage cutsy of M2M. In its place is Raven's assertive voice of vengeful yet positive tunes backed with a strong radio-friendly pop-rock vibe. But that isn't to say that Raven has forgotten that it's was with M2M that she first found international stardom with the hit "Don't Say You Love Me." "It's been three years and I see some familiar faces. So nice!" said Raven after recognising some of the fans who were in attendance. And to show her gratitude, the talented instrumentalist did an impromptu performance of "The Day You Went Away" on the piano, while encourging her fans to sing along with her. Another highlight came when Raven churned out the epic and beautiful "13 Days" that she co-wrote with Chantal Kreviazuk and Raine Maida (Our Lady Peace) on the ivory keys. After a slight mistake, Raven apologised for still having the tune of "The Day You Went Away" in her head and revealed that "it's the first time I've played the song to anybody." 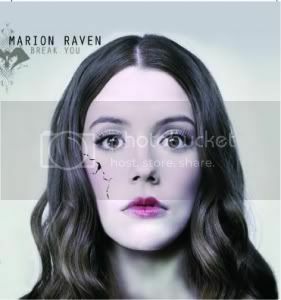 Check this site out you can listen to Marion's first single "Break You"
Also there's a list of songs that will (most likely) be on the album (thnx to ThisGuy) In some countries there may be bonustracks. If you live in Singapore enter THIS Contest here to have a change to go see Marion perform her new songs live before the album has come out! Finally some BIG news. There have been a couple of single and album dates announced on marion's official site. April 25th Break You radio/video release for Australia/Mexico/Japan/New Zealand. April 25th End Of Me radio release for Southeast Asia. May 23rd Break You commercial single release for Australia. June 4th Here I Am album release for Southeast Asia. There will be more release dates coming soon. So hopefully we'll hear about it soon! All of them were rockers except for I'll Die For You a very pretty ballad. It was such a treat to see Marion after 3 years, performing and rocking out. It was very cool to see her with her red electric guitar, swaying around and doing rock star poses, which seemed very natural for her. She played a few numbers on her keyboard too. BIG apology site hasn't been updated in really long. Recently Marion did a chat with some lucky ppl. I'll try to post the transcript as soon as possible. Also Marion entered a new journal entry. Everything is really gonna get going soon. It won't be long before the first single comes out and Marion is gonna be everywhere! Pretty exciting stuff. Anyways, i'll try to be a good girl and as soon as possible update more parts of the site and maybe even get a new layout. Also the forum is up again so sign up and chat along. Hopefully they'll have some news on the site soon and some more pics. Yay! It has been ages since i last updated, but i finally have some news, if you go to Marion-Raven.com you can sign up for her mailinglist. Hopefully the site will now, for real, be up soon! Marion album looks to be really great! Max Martin co-wrote and produced the whole album with Marion, which he normally doesn't do! Marion Ravn is soon finished! 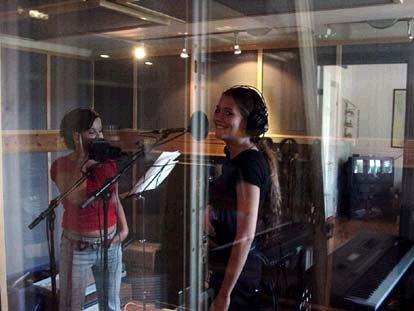 For a long time the former M2M star, Marion Ravn has been in the studio. She has written and produced songs for her upcoming solo album together with no other than Max Martin. He has never made an entire album with an artist, but only a couple of songs. Marion Raven should feel honored by Max Martins commitment. The swedish paper "BON" thinks Marion will become the biggest popstar in Norway, of all time. Soon we will get the answer!!! Great Marion news! (from MARION2Ua great marion fansite by Kim! There's an norwegian magazine called "Her og Na" and it contains an article about Marion. They explain why the album wasn't released in last year December. It's because Atlantic is being sold to Warner Music. The article also contains new promo pictures for Marion's new album. If you live in Norway go buy the album and scan the pics! Hopefully we'll see some of it soon! The US fans are very lucky cos the album will be released there first! Right now only the index,facts,faves and quotes pages are up, but there will be more soon! I am planning a big update soon..but there are prolly not gonna be any updates very soon, right now. The news is slow and Marion's site still isn't up. Soon i hope to have the gallery up and lots more! And maybe even a new layout. Stay tuned! Sorry for the lack of updates..there's just not any news of Marion right now. Hopefully soon Marion's site will re-open again and don't forget tomorrow is Marion's 20th birthday!! I need some help, go HERE to find out more! I'll add more caps soon and upload more pics here as well! From Marion2U there are new pics of Marion. The official Marion Raven site is closed right now. It will be back real soon (i hope) with a new layout and a new messageboard. Hopefully the links will work for everybody,i heard the songs and they are awesome!! Can't wait for the album release yay! Sure I'll answer some of your questions! 1 Does Marisa still check the webmaster questions. Sure she does! The site is up and running! 2 Do you still reply to emails cause i was thinking of sending you one. 3 If u do still reply how long on average if i was to get a reply would i have to wait to hear back from you. 4 Can you tell us some of the song names that will be on the Cd you are bringing out. Nope, sorry.. I can't tell you yet! 5 Are you and Marit still freinds. 6 I remember that I asked you ages ago if you had your licene well you hadnt at that time so I was wondering have you got your licence yet. Yeah! I had it for one year now and I love driving around! 7 Its none of the groups business but do you have a bf (boyfreind) yet just a question. 8 How often are you in the chat room. 10 What do you think of australians. I really like Australia and the people there! It's one of my favourite places. I can't wait to come back! More pics from the brides magazine, click on these links to see the photos :) Marion looks awesome! That's it for now, more news hopefully soon! Oh and you can TRY and listen to some marion songs at promosquad.com, you have to register, open up the jukebox, answer some questions and wait a half year...and then you get to listen to her songs. You can some photos there too. This is all the marion news for now. Hopefully we'll hear more soon! Sorry about the lack of updated. My computer got all messed up so. "Finished with new CD" Marion and producer Max Martin worked on it for over a year. Atlantic Records is comfirming that she is a global priority to the company. Amazed Only a handful European artists are in a situation where they're directly signed to a major company on the worlds biggest market. "I've been involved with the album since the first day, but I still get amazed every time I hear her sing." says Andrew Feigenbaum, who's the main in charge for artists at Atlantic. "Marion's a global priority for Atlandtic. We have the songs now that will make her an international star." Says Feigenbaum No release date has been set yet, officially. Goosebumps "I have heard the songs hundreds of times the past months. every time I get goosebumps. Something I cant say about the songs I hear on the radio these days." Says Feigenbaum. Responsibility for the mixing of the album has been handed to the Swede, Michael Ilbert, who's known to be working with - The Hellacopters(Swedish), The Nomads(Swedish), Sator(Swedish) and The Wannadies(Swedish) - But the guy has also produced Celine Dion, The Cardigans(Swedish), Roxette(Swedish), Ulf Lundell(Swedish), and norwegian names such as Vibeke Saugestad and Bel Canto. "We couldn't have got a better production team than Max Martin and his crew." Feigenbaum explains. Let the year start & end fantastic for you all! We are going to update the site when new pictures, music comes in and when things are starting to happend. It is not much to write about right now. I am sorry it is taking time,,but I promise it will be really good! The record won't come out until Spring time or so..I don't know yet. My look would always be to be myself, but of course I've change a little since last year ;o) JUST WAIT AND SEE M.
Hi Everyone Well, I'm pretty sure we have the first single, but you never know..it might get changed. They just told me it won't be any single out until spring time..'cause the album is not totally done yet. So I am sorry that you have to wait for so long.. I'm not sure about the video yet.. M.
Well other then that i'm trying to slowly get the galleries up, but it will take some time, so sorry! Well i totally neglected (sp?) this site for quite a while..but right now I am really busy trying to finish it all real soon! Still there's not much news around Marion, but according to a very lucky fan called Marcus who got to meet her in Sweden and even listen to some songs, it all sounds really good! So i'm pretty excited about it, and if all goes well the first single will (probably) be out around next month and the album in 2004!! But remember, it's for a good cause...my new record! It's been going really well in the studio. I got the fever and everything. I hate being sick. And I just wanna say thank you very much. You are the best! Marion Raven Online opened officially today! !